Lil Miss Canada is a 12′ 1954 cold moulded plywood Wagemaker Wolverine. Hull number M679 with the original 1954 Johnson 25HP RD - 15 still running well. 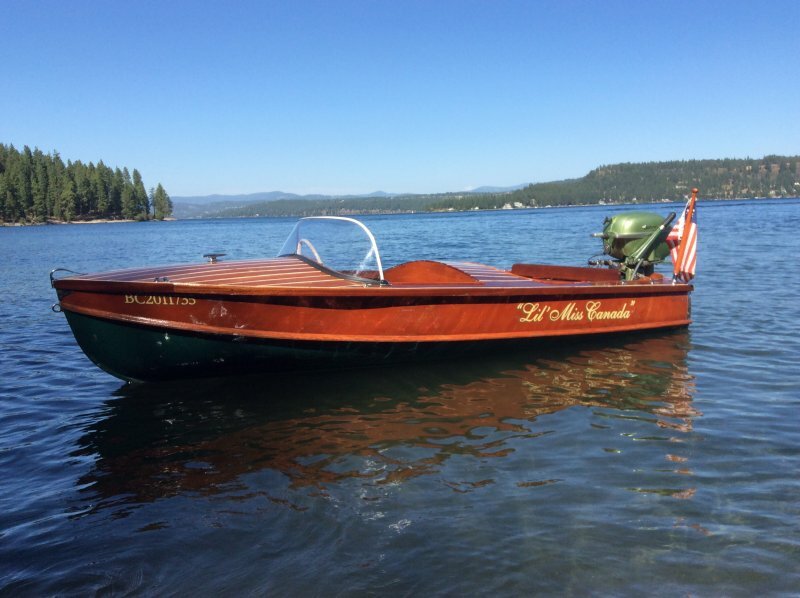 She was built in Michigan registered in California and purchased by the current owner, James Youngson of Vancouver Canada, from Stancraft boats in Coeur D Alene Idaho. Lil MIss Canada calles Coeur D Alene Lake home.